Up-to-date blogs, news stories and happenings with VSLive! all in one place. As we wrap up 2017, we hope it was a good year for you. It was a good year for us—great events, new technologies, lots going on. Looking ahead to 2018, we're filling out the calendar for the Visual Studio Live! events for next year—our 25th year of bringing you Visual Studio Live! We have the dates and locations set, so you can start making tentative plans. We even have the agenda for the Las Vegas event in March posted, so you can start crafting your schedule. As always, every Visual Studio Live! event brings you the latest cutting edge sessions exploring how you can get the most out of the Microsoft development technology stack. The sessions and our expert speakers dive deep into Visual Studio 2017, ASP.NET Core, Angular, Xamarin, R, mobile, and other technologies. Whether you opt for the full day hands-on labs or the laser sharp focus of the individual sessions, our cadre of experts is ready to help you become a better coder. 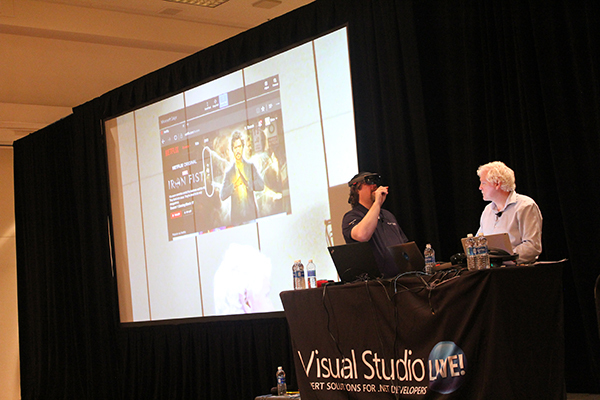 The first event of the year is once again Visual Studio Live! Las Vegas, March 11-16, 2018 Las Vegas, NV. This one will be held at Bally’s Hotel and Casino. And we already have the agenda set and posted. You can check it out here. Visual Studio Live! Austin, April 30-May 4, 2018, Austin, TX. We'll be holding this one in the Hyatt Regency in Austin. Visual Studio Live! Boston, June 10-14, 2018, Cambridge, MA. This one will once again be at the Hyatt Regency in Cambridge overlooking the historic and scenic Charles River. Visual Studio Live! Redmond, August 13-17, 2018, Redmond, WA. Come join your colleagues on the Microsoft campus. Rub elbows with Microsoft developers and employees and get a feel for campus life. This last event of the year is once again presented as part of Live! 360, which also includes TechMentor, Office and SharePoint Live!, SQL Server Live!, and Modern Apps Live! And as always, you can craft your own agenda, a little Visual Studio Live! with some SQL Server Live! and Modern Apps Live! mixed in. Whatever you like—your ticket in is your key to the kingdom. You can pick and choose from the five conferences and get just what you want. Check out the Visual Studio Live! site here for the latest as we finalize plans and agendas for our 25th year events. Keep Up-to-Date with Visual Studio Live!